In January 2014, I started blogging again after a five year hiatus. I had a dream to uncover the secrets for running scalable values-based companies and desired to share those lessons with the world. I was unsure if anyone would find my musings interesting. I am thankful to each of you who have taken a small bit of time out of your day to read one of the 45+ articles I’ve written over the past ten months. I am thankful for those of you who have challenged my thinking and shared valuable insights that have helped me along this journey. I am thankful for my dear wife who encouraged me to start this blog in the first place. I am thankful to my father who is likely the first person to read my posts on Wednesday mornings. Most of all, I am thankful to God for teaching me so much this past year and sustaining my family. I hope each and every one of you is able to enjoy Thanksgiving with your family and friends. 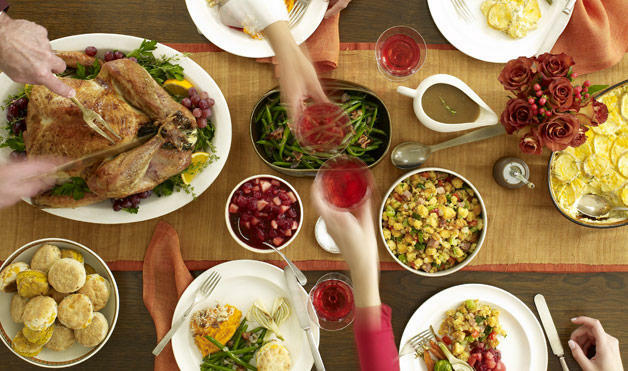 May it be a respite from the craziness of life and an opportunity to break bread with loved ones.